If you're like me, you hate drinking. I refuse to do it in raids and I'm constantly running out in the world and fighting things with 3% HP so that a random scrub rogue with a name like Darkshasta or Mugger can come along and one-shot me with a 200 damage Assassinate. So to combat this I have been using what might be the ultimate solo PvE spec: 32 BD / 18 Sin / 16 RS this build relies primarily on Rift Scavenger and Combat Culmination which restore your energy and health if you have combo points left on the target when it dies. Combine this with the massive CP generation from having mobs attack you as a BD, and you can tear through packs of mobs that would leave any other spec dead, and come out with 100% HP. Press repeatedly for victory. Keep False Blade and Dauntless Strike up, but make sure to have combo points on the mobs as they die for health/energy boosts. It's sick for closing Rifts solo, farming, doing dailies or whatever. I don't recommend it if you expect PvP though. You'll get trashed by anyone except champ or beast warriors (and maybe bad assassins). Props to Archaego for originally coming up with the idea. I'd also recommend this spec for anyone thinking of leveling a rogue. The key idea is to get 3/3 Rift Scavenger in RS, then put the rest of your points in Bladedancer up to 32, then build up Assassin or RS as you wish. Leave your water in the bank. You won't need it. I did a little research and if you have FPS in Rift that is lower than other games or if you have spikes in your FPS where it jumps up and dips sharply at times, a few changes in your config file can help. VfxCullDistance might not exist. Just add the line above VFXLimit. What this does is take advantage of the high memory in most graphics cards to load effects and keep them loaded. With smaller values, the effects load/unload repeatedly at the edge their range and this causes dramatic drops in FPS as your graphics card works to load things at the proper distance. MainThreadCPU = 0 lets the game choose the processor core that is under the least load. Thanks to Xensimilla for that one. Thus, by increasing these values, you should see an increase in performance and not have the wild swings in FPS. It's worked well for me. Hope it helps. 1.3 World PvP has been... interesting. It's good that Trion has moved PvP away from Zareph camping all day (though I do feel bad for the unwitting level 40s in Mage's Mark), but populations being what they are, its a bit zerg-or-be-zerged out there. With Condemned gone, its not so one-sided in favor of Guardians, even though they outnumber us by a good bit now. After messing with various Assassin specs this week, I threw up a little in my mouth and decided NB is just more my style. I wish there was a viable NB spec for PvE, but Deadly Dance is just too good and has basically 0 synergy with NB, plus NB lacks the AP modifiers in BD and Asssassin. It's too much of a handicap. Maybe some day. I've finally settled on Living Flame for PvP. I resisted it for a long time with my Nightblade Beast and Gunblade specs, but I love Nightblade and I think that despite how much I hate 51-pointers, it doesn't make much sense to go 44NB 16 Inf 6rng when I can go 51 NB 15 Inf 0 MM and only lose a snare and some AP, while gaining Living Flame. I like 0 MM over 0 Ranger with NB because you already have a ranged finisher with Flame Thrust and Swift Shot is helpful in getting you back into range (or staying out of it). The problem with this spec is it doesn't do too well against Assassins (at all) and struggles against Parry-gons and shield warriors as well. It is strong against mana bars and it will bring down a cleric solo. However, if a good 51sin opens on you, you are 50/50 at best, even with every cooldown up. With 600 valor, I have sins take me to 40% in 5 seconds then vanish and let me bleed. Parry-gons you basically need to avoid DoTs and Dark Contain them when you see them start parrying every attack. If they have Break Free up, you'll need another CD, like Twilight Shelter. You can still sneak attacks in from behind, but Rift is not so good at detecting where you are in relation to the other player's orientation, so you can try, but they are mostly invincible. I still keep Gunblade around also, because its the best overall. The kiting capability from Marksman gives you a strong chance to beat anyone. It's not as strong against bluebars but can still win, and Swift Shot/Hasty Departure/On the Double let you kite Assassins and warriors and win that battle. Generates chaos within the enemy's ranks, cursing up to 10 enemies within the targeted area. Abilities used by affected enemies cause the enemy, and up to 5 additional enemies within 7 meters, to suffer 82 Death damage and lose 30 Power or Energy, or Mana equal to 3% of the Mage’s maximum Mana each time they use an ability. This can occur up to 5 times over the next 15 seconds. If you have one ability that does so many different things that you need a wall of text to describe it, it might be overpowered. Trion has done it again. If there is one thing they have down pat, it is overcompensating. Dominators are already a pile of awesome because of their crowd control and nasty damage abilities, but the AOE and "shut down" ability of the Mass Betrayal skill really needs to be examined. It's a virtual disarm for any rogue or warrior that can't cleanse it, while simultaneously dealing damage every time you manage to get an attack off (which is about half as often as usual). To top it off, the damage it deals is AOE, so casting it on a group of players essentially turns them into chum. Stormcallers eat your heart out. The more things stay the same, the more things stay the same. So the lack of patch notes relating to rogues might make you think that nothing has changed for rogues in 1.3. Well, you'd be right. Nevertheless, with Hammerknell set to start "soon" and people wanting to get geared up to clear Greenscale, here is my take on the top 3 DPS specs for Rogues. Good old melee sab is going great guns this patch, with the change to Deadly Dance's interaction with charges streamlining the rotation. In my (still) mostly T2 gear with some raid gear, my spike charge crit ticks for 2.2k and Shrapnel crit ticks for 1k. The rotation is more complicated than the standard saboteur, but the damage is also better. You can use Backstab if you want to, but I prefer Puncture because of the positional nature of Backstab. There's also not much difference in energy because a 2 Point Detonate costs less energy than a 1 point detonate that you would do with Backstab. Of course, if you prefer ranged sab, there is always the standard saboteur. Still going strong, the BD tribrid deals considerable damage to a single target. It's simple to play, to allow for good raid awareness and is extremely competitive for the top spot on the damage meter. More info is available in my complete writeup. I tested this and had very good results. It's bizarre running a melee ranger spec and you do have to run in and out of melee range to use Head Shot, but it deals very good DPS and may wind up being the best DPS of all, depending on your gear. You can read more about the spec in his thread on the rift forums. Note that my spec varies slightly from his. I find having instant-pet is too valuable to go without. I was lagging too bad to give a good test to Hoko's spec this week (thanks Trion for those server mergers by the way) so next week will be the test on that one, hopefully. Also, Guardians now massively outnumber Defiants on Deepstrike. Because sometimes being able to do Raid Rifts was too simple. Just a little vid I made of some whitefall cappin fun, utilizing my Run N' Gun capper spec. Hope its enjoyable! I've been working on a variant of my Nightblade PvP spec that is still a work in progress but I wanted to go ahead and post about it. This spec generally works on the same principles as Nightblade, but makes a few key substitutions. Namely, you're dropping Blackout and Ranger for Marksman. Losing Blackout hurts, but the build is not viable without it. Key concept: Gunblade works by using ranged attacks from melee range. A side effect is a nearly-permanent increase in movement speed (from MM skills), so you'll never be kited again. Your goal is to open on an opponent, apply Scourge of Darkness quickly and then go for a point-blank Rapid Fire Shot finish. Meanwhile you are ripping out damage with Dusk Strike and talented-Swift Shot. Advantages: Compared to my Nightblade beast spec, Gunblade has far greater speed and maneuverability, and is able to deal considerably more damage from range. In close, the Gunblade damage is higher when utilizing Ebon Fury due to adding Rapid Fire Shot. Disadvantages: Compared to my other Nightblade spec, Gunblade has less survivability when being focus fired, due to not having Blackout. Furthermore, unless you have Ebon Fury up, this build deals slightly less damage in melee range, due to losing a few key Assassin talents. Notes: The only melee attacks utilized in this build are Dusk Strike and Blazing Strike, so damage is not considerably lower if you have to stay at range, however you want to melee for Hellfire/Fell Blades procs at the very least. Your ranged shots proc Increased Fire Power, which is important for keeping your damage up. This is another reason to never use Primal Strike. This build can be more effective against Riftblade or Paragon warriors as you can outrange them and kite using the speed bonuses. It also works very well against mages. It's important to remember that you want to try to be in melee range whenever you can, despite having a wide arsenal of ranged attacks. This build still bears some refinement, and right now I struggle most against 51Sins who get an opener on me (luckily there's not many of those right :x). Pretty much anyone else I can put away with little effort. Enjoy! I've had tremendous success in PvP using a Nightblade PvP build. With this spec, I've been able to kill healers and even R6 clerics in WFs and 1v1. It offers strong survivability, especially as valor increases and though it is reliant on 2 min cooldowns, it has a lot of them. This spec offers what I consider to be the best combination of damage, utility/versatility and survivability. The combination of Fell Blades and Anathema is enough to kill a healer when timed well, and cooldowns allow you to take out your target and survive against heavy odds. It can deal good ranged damage and Crippling Shot allows you to slow. I skip Improved Twilight Force because I feel those points are better spent elsewhere, since you have a ranged snare already. The 2nd finisher macro is for targets that are nearly dead and you don't want to cast a SoD that won't get used. This spec revolves around pounding people down from melee range while still being able to deal reasonable damage out to 30m. The points in Ranger not only give you a 30m CP-generator and finisher, but also 5% crit, 46 attack power, and a ranged snare. The macros are designed to prioritize your abilities based on distance, so you'll use the most powerful ability you have at a given range. Flame Thrust is worth it (imo) because of Lingering Flame, even though you could use Head Shot. I try to throw a Fiery Spike on people right at the start. For fighting mages and caster clerics, you have Cleanse Soul, which absolutely wrecks casters. You can use it to immune the most powerful abilities like Incinerate, Stream of Reclamation, Degeneration, Mortality etc. If you need another magic immunity, you have Twilight Transcendence. Of course, Blackout will work too on incoming spells. For fighting melee, you have fewer options. If a rogue gets the jump on you, you can pop Twilight Transcendence to go immune to his Impale, and then dip into Twilight Shelter to reduce his DoT damage while you beat him up. Against Warriors you're screwed against tanks (just ignore them) but you can usually pop Blackout and Ebon Fury and just win a head to head match against any 2h user. Against healer clerics, you have Fell Blades and Anathema. When used in combination, they reduce a cleric's healing on himself by 75%. Typically you want to jump a cleric, get 5 CPs, then pop SoD and go to town. Once you get the cleric to 50%, pop Anathema and your Ebon Fury macro and go for the finish. If a big heal is going to get off when he's low and Anathema is gone or almost gone, use Dark Containment as an interrupt. Watch for Fell Blades getting purged and re-apply it. I find this spec to be highly effective in group and solo situations and ran with it almost exclusively from Rank 4 to 6. I'm working on a variation of it right now and have not yet decided if its worth it. My PvP video is going to showcase this build primarily. Well, finally hit Rank 6. 5 Achievement points though? Come on. Anyway, I'm loving my new Whitefall capper spec and I encourage others to give it a go. It's extremely effective and fun. I'm working on my first video. It's going to be a PvP video but I'm not just hammering a bunch of clips together, and instead I'm going a little artsy, so I'm not sure when it will be done. 1.3 is next week, then Hammerknell a week or 2 after that. Looking forward to the fun in PvE while I finish grabbing my R6 gear by running all over people in Whitefall. Well, the Devs finally realized what I pointed out the minute Valor changes were announced. Archonix breaks the news that the Valor changes are being reverted after 15-minute battles with 0 deaths in multiple test server warfronts. Yeah, healers overpowered, go figure. As we've been known to do in the past, we're not afraid to mix things up and try crazy things every now and then. This was definitely one of those times. With that said, we're not happy with the results of the Valor changes, and will be rolling them back for 1.3. Increasing overall survivability is a goal we're going to continue to work towards. It's time to roll up our sleeves and spend more time focusing on individual changes to class abilities that affect PvP combat only, much like the updates you'll see coming out to the PTS environment later in the week for Pyromancers. This will be a primary focus for 1.4. For 1.3 we're happy with the results we're seeing with the queuing changes, and look forward to you continued feedback and support! Derp. This means for now, Rogues survive to get nerfed another day. There's little else that will change for Rogues in Warfronts, other than Pyros getting shitcanned along with Stormcallers. I hope these specs remain viable without the one-shots and ridiculous AOE (respectively) as it would be boring for every mage to be a necro/lock. Cleric survivability will remain largely unchanged and mages may be a bit easier to kill. I'll give Trion some credit. At least they realized their mistake before alienating their (non-cleric) players. If Hammerknell is as good as it looks, 1.3 could be a great patch. So yes, the world is ending in 1.3 (Test server runs confirm it) but for now, I'm having fun running flags in Whitefall Steppes. Won't be much else for Rogues to do in 1.3. I've seen several variations of capper specs for Whitefall (and Scion, I guess) and most center around Bard combat speed and Riftstalker. I went in a little different direction and have been having great success with a spec involving Marskman. This build goes deep enough in Rift for all the blinks and decent mitigation with Improved Rift Guard. It goes deep into Inf - all the way to improved movement speed if you're R5 or higher. The linchpin though, is the 1 7 points in Marks that give great escape potential, with On the Double / Getaway, Hasty Departure, Improved Swift Shot and Hasted Shot all boosting movement speed. Then you have Repelling Shot and Static Shot to help get some distance. With this spec, you don't have the guaranteed full-time 20% speed like you do with bard, but with all the run speed buffs, you'll have at least one up any time enemies are around, which is key. All the additional tools at your disposal are great, plus you have some points free if you want to go deeper into Rift for a bit more survivability. This is not a great spec for surviving a flag standoff, but for getting their fang to your base, this is a fun little spec to tinker with. The basis of most complaints about PvP balance stem from two areas. Class M (typically mage) just killed me with a 6320 crit. Class C (typically cleric) heals through virtually limitless amounts of damage. It's hard to believe that both problems could co-exist on servers, and so Trion assumes that Clerics aren't really that strong, because after all, everyone has a screenshot of a 6k Fulminate and there are no screenshots of Clerics not dying because... well they're not dead, so what's to screenshot? Trion has thus decided that crits are the problem and that crits need to be nerfed. No, not just Incinerate/Fulminate crits and Lightning Field/Soul Drain triple crits, but all crits. The problem? Rogues are reliant on crits to deal damage, but we don't go around one-shotting (or even 10-shotting) anyone. We deal sustained damage with reasonable burst potential centering around cooldowns. Some of the burst may be a bit strong, depending on where Trion wants burst damage, but none of it is anywhere near the uberCrits being dished out by Mages and Clerics. In many ways, Warriors are in the same boat. Therefore, Trion's across-the-board nerf to crit damage and base damage of all abilities hurts Rogues and Warriors the most, because our crits are being reduced just as much as mages, but we don't crit nearly as hard. Take a look at the crit potential of each skill on a case by case basis. Incinerate, Fulminate, Lightning Field, Forked Lightning Soul Drain, Sanction Heretic, among others are all candidates for adjustment. On abilities that deal ubercrits, look at ways of making them usable more often, for less damage. Remove abilities that deal uber burst and replace them with abilities that deal less spike damage, but equivalent or more DPS. Increase the Endurance on PvP gear. Yeah, simple. Make burst abilities more avoidable and more obvious. If a mage is winding up a Cinderburst, lets see some Kah-meh-ha-meh-ha powerup action around him. Make burst abilities require setup abilities that give warning. Sab charges already work this way. Have powerful abilities require a debuff on the target or some other method to give warning that they're coming. Give penalties to burst abilities. Maybe casting Lightning Field should make the caster more vulnerable to magic damage. Maybe casting Soul Drain should reduce incoming healing. Reduce the contribution of Red Ball to high damage abilities, or give Red Ball a penalty like increased damage taken as well as dealt. Un-nerf CC a bit. Melee classes are not the problem, but are significantly impaired by targets being constantly immune to snares. Lets reduce snare immunity to 5 seconds. That will do a lot to stop the annoying bunnyhopping too. 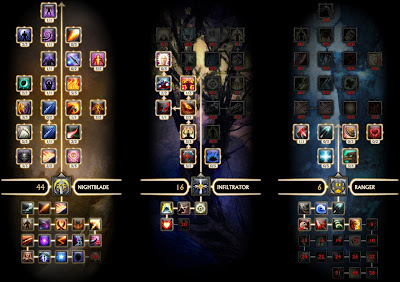 Increase the number and power of survival-oriented talents in the PvP trees for non-Clerics. Trion needs to stop taking all their queues from WoW. If we wanted to play WoW, we wouldn't be here. If 1.3 goes live as it is, Trion has officially killed PvP. I'm not being dramatic. I'm not using hyperbole. They clearly don't understand their own game. The #1 problem for mages, warriors and rogues right now is the extreme power of healing in PvP. In some ways this affects mages less, because they can heal themselves in many specs, but they still struggle with killing clerics. It is undeniable and indisputable that Clerics are the hardest class to kill in PvP, especially healing clerics. I have been able to kill clerics in 1v1 situations, but most rogues can't. Most warriors cant even get close. * Base Valor amounts have been adjusted to account for a significantly larger amount of damage reduction. - Level 1-40 characters have 10% reduction. - Level 40-50 characters scale through 11-20% damage reduction. * Valor now reduces the critical hit damage bonus received from player hits, capping at 50%. - Reduction scales based on character level. - Level 50 characters with no additional Valor receive a 33.7% reduction in critical hit bonus damage. 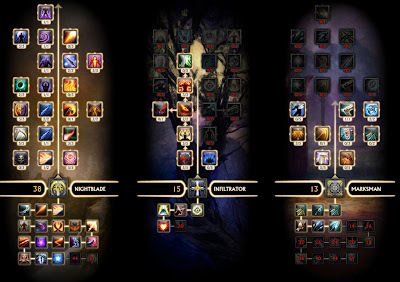 - A full set of rank 2-3 PvP gear (356 Valor) provides a 50% critical hit bonus damage reduction. * With the increase to base Valor, the amount provided by ranked PvP gear has been adjusted. - Rank 1/2 sets provide 323 total Valor, for 26.9% damage reduction and 45.4% critical bonus damage reduction. 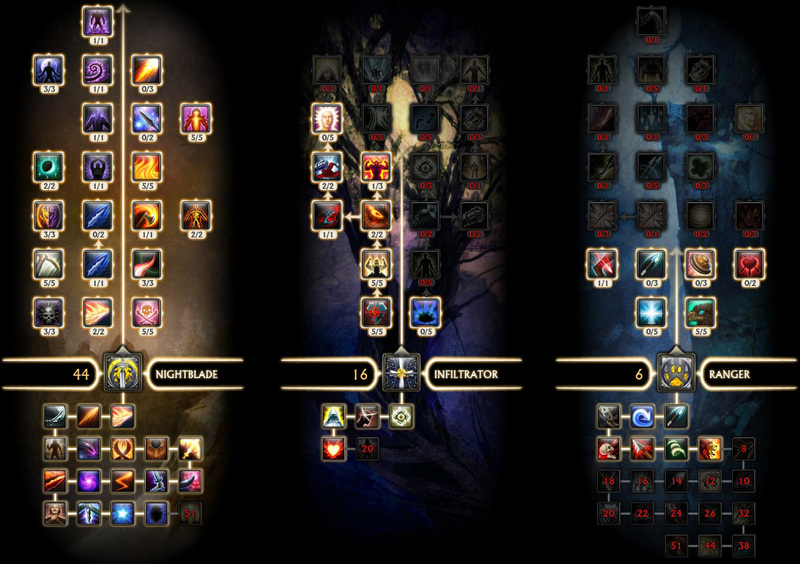 - Rank 3/4 sets provide 394 total Valor, for 32.8% damage reduction and 50% critical bonus damage reduction. - Rank 5/6 sets provide 480 total Valor, for 40% damage reduction and 50% critical bonus damage reduction. * Runes that grant Valor bonuses have their Valor stat values adjusted but still provide the same percentage of damage reduction. What these notes mean is that the amount of damage in PvP is being severely cut across the board. Since healing will heal for the same amount against less damage being done, healing is going to be considerably stronger. This is such a stupid decision (and a slap in the face) because healers are already the strongest classes in PvP by far. This decision has no logic or thought behind it whatsoever. It is simply an acrosss-the-board healing buff in a game already dominated by healers. To be honest, I don't mind cutting damage dealt, as long it came with a corresponding healing decrease. It would make for longer and more interesting battles that emphasize teamwork. Instead, the game will now be decided by which team has more healers. It's also apparent that PvP gear will no longer be very important. PvE gear will rule with the static valor boosts. Bottom line, clerics raiding Hammerknell will rule PvP. Everyone else will be their toys. There are some good changes being made as well, but in light of these healer buffs, they are truly inconsequential. Two of them that I liked before reading about valor changes are fixing the bug with players becoming invincible when being stunned while jumping, and players being able to break channeled spells when running out of line of sight. Those are smart drops of rain into a sea of idiocy. If 1.3 goes live with these valor changes, PvP will be retarded. I'm moving toward quitting the game, or just turning into a PvE-only guy. Never much for cookie cutter specs, I worked out an Assassin/Bladedancer hybrid that is a blast to play in Warfronts. The spec is 32 Assassin / 21 Bladedancer / 13 Infiltrator. I'm not counting things like Poison Gas and Hidden Veil because (to me) those are gimmicky at best. This spec offers far more versatility than full Assassin and is much hardier when caught out of stealth (something 51 Assassin fails at horribly). It also has significantly more cooldowns and has the potential to beat any class, though like most builds it struggles against high-rank clerics. Generally speaking, the goal is to get Jagged Strike and Impale ticking, then start pumping out Deadly Strikes for bigger hits. Never use Final Blow. Sindancer lends itself to various playstyles and strategies, and because of that I'll describe some of my common matchups here, and what I do in various situations. If you're trying to kill a necro/lock or cleric, your best bet is to pump out the most damage possible, using all your cooldowns. Your biggest advantage here is that they won't take you seriously because you're a rogue, so you can usually get all your DoTs up before they freak out. You can do this as 51 Sin also. Open with Jagged Strike > Puncture > Impale then Slip Away and immediately start spamming them with Expose Weakness. This will add damage to your DoTs, but more importantly, it will force them to stay in combat so they can't drink. Once your DoTs expire, reopen and even an 800 valor warrior will be below 50%. You can also use this Expose-spam technique to prevent rogues from stealthing if you're not ready to engage them yet (like if his friends are hanging around at Vault). He'll stay unstealthed and when the time is right, you get the opener. This is actually fairly challenging if they have high valor. Open with Jagged Strike and immediately Foul Play to give yourself time to Puncture and Impale. Don't snare. You'll need it later and he's about to break it with On The Double. If he pops Improved Hit and Run, you need to either Side Steps or Slip Away. If he gets to range on you, you need to use Flash of Steel or Sprint, but don't use FoS while his OTD is up or you'll waste it on his immunity. I mentioned this spec briefly in a previous post but I wanted to go a bit more in depth on it. Various things can interfere with it, but always make sure to get Fiery Spike applied while Deadly Dance is active. It makes a huge difference in your DPS. You use the 2 CP macro the majority of the time, and only use the 1 CP macro when you have 1 CP to go. A few things you may notice or disagree with: Flash of Steel and Fiery Spike in the macros. I use Flash of Steel to "fix" my rotation if I accidentally flame out and fumble something up. This extra 2 pointer gets me back on track. Its also nice to automatically rush back to the mob if you have to run out for some reason or if he moves. You have to be careful with this because on some fights (like Warmaster), you dont want to go charges after the boss when he teleports, so you need to be judicious in its use. I keep fiery spike in the macro so if the boss is out of melee range and I hit it, I haven't wasted that key press. I still keep FS on its own key. For cooldowns, you have Ebon Fury and Blade Tempo. I also use the Words of War trinket from Codex reputation. I synchronize my cooldowns by popping Ebon Fury and Words of War together every 2 minutes, then at the very tail end of Ebon Fury, popping Blade Tempo. Make sure to get both your CDs into the Words of War duration or you're losing damage. You can do the same thing with any on-demand damage trinket such as the Token of Stolen Souls from Alsbeth or even the blue trinket from normal CC (forget the name). I've had good results from this build getting about 1.4k+ DPS (without Spotter's, so estimate 1.6k with) on Plutonus. So I'm a Rogue in Rift now. With 1.2 recently out and 1.3 looming, I want to spend some time talking about the current state of rogues in both PvE and PvP. I play as Tank and DPS in raids/PvE (all content cleared) and I'm currently Rank 5 in PvP. Enough about me. Let's talk turkey. Riftstalker rogues are currently the best single target tank in the game. We take the least damage thanks to our superior mitigation with Rift Guard and do by far the most threat. The only thing Riftstalker lacks is a Spotter's Order equivalent to let our raid do more damage without a warrior gimping themselves to put the debuff on bosses. My current tank spec is 51 Rift / 8 BD / 7 Ranger which is essentially the standard. Our main tank uses the Max Effective Health variant which gives him a very big health pool, at the cost of some threat generation and avoidance. His spec is superior for tanking bosses, while mine is more geared for tanking multiple mobs and 5-mans, although I have tanked both Greenscale and Alsbeth with this spec. Rogues are currently the best single target DPS in the game. For single target melee, I have had the best results with a Bladedancer Tribrid spec that focuses on using Deadly Dance to maximize damage on combo generators. I typically parse 1.3-1.4k on Plutonus without Spotter's Order, so you can add about 200-300 DPS compared with most raids which have this debuff. I'll go into more on this spec, including macros, rotation and other considerations soon. Saboteur rocks the house for ranged DPS/AOE. It's single target damage is lower than many melee specs on single targets, but for AOE it is rivaled only by Stormcaller mages. The 2 points in ranger are so that your bow is used to calculate charge damage instead of your melee weapon (as long as you're not in melee range). What really makes this spec shine is Incriminate, which lets you shunt all your threat onto the tank for 6 seconds. Because of how effective and versatile this spec is, I have actually dropped my other PvE DPS specs for PvP specs and now only have Saboteur and Riftstalker for PvE. Despite much of the crying you hear on the forums. Rogues are very strong in PvP Warfronts. The most common specs (by far) are 51 Assassin and 51 Marskman builds. However, I won't describe them and won't go into them here because they are pretty obvious and also rather unimaginative (and I kill them). I have three PvP specs, 2 of which I'll describe here and one I will save for my next post (still tweaking). My favorite spec is my Assassin-Bladedancer Hybrid which I have used to great effect. I find it to be far more versatile than 51 Assassin while offering at least as much killing power, and more survivability. Compared to 51 Assassin, you gain a DPS-boosting cooldown that works on your Assassin DoTs, several gap-closing abilities to prevent getting kited, Deadly Dance (which is amazing used in tandem with Slip Away + Assassinate) and little things like Side Steps and Reprisal. I love it. I also finally broke down and joined the FOTM Marksman crowd, though I do things a touch differently. This spec offers tremendous burst damage from range, but suffers from a significant lack of survivability. I also have used this variant, which is played the same, but adds Anathema and Cleanse Soul for some survivability and anti-healing. The major problem with Anathema is that the range on it is significantly shorter than your max engagement range, so you have to move in close to apply it, which is often a bad idea. Overall, I find the Assassin/BD build works best in maps where you can use stealth to your advantage to get fights in small groups. This is usually going to be Codex and Whitefall Steppes. Because Black Garden and Port Stormcaller tend to be Zerg-on-Zerg engagements, being melee is often a liability, so MM tends to shine there. That said, I've used both specs on all warfronts and it really depends on the texture of the game. Sometimes Codex gets very zergy and sometimes Port Scion groups split up enough that melee is not instantly killed. For this reason I think having 2 or more PvP specs is a big advantage, as it lets you adapt to the game and play the role that best fits the situation. I'll post more soon with an analysis on the state of PvP and Rogues in general and possibly unveil my latest spec.